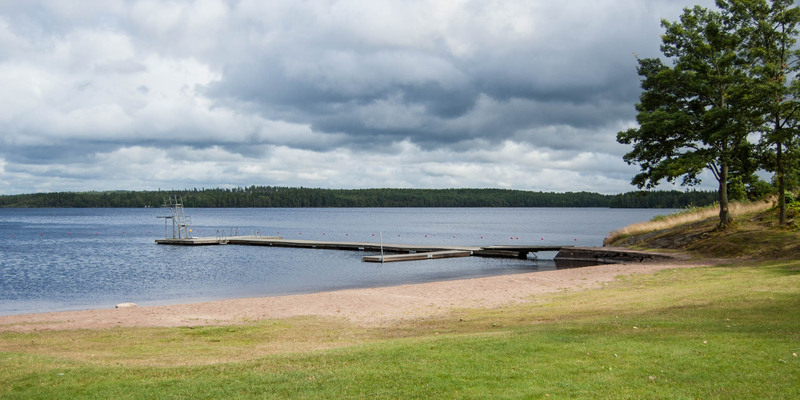 The bathing place Lessebo Camping Badplats is located on the western shore of the lake Läen on the outskirts of Lessebo. 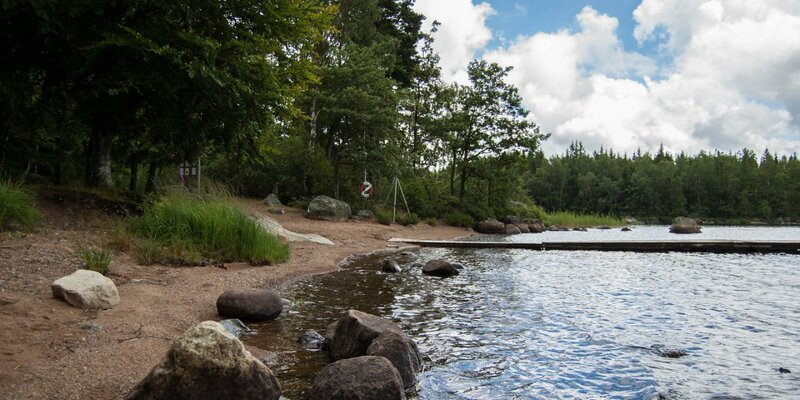 Lessebo Camping Badplats has a beautiful view of the lake Läen and a 60 meters long natural sandy beach, a large lawn and a long jetty with diving platform. 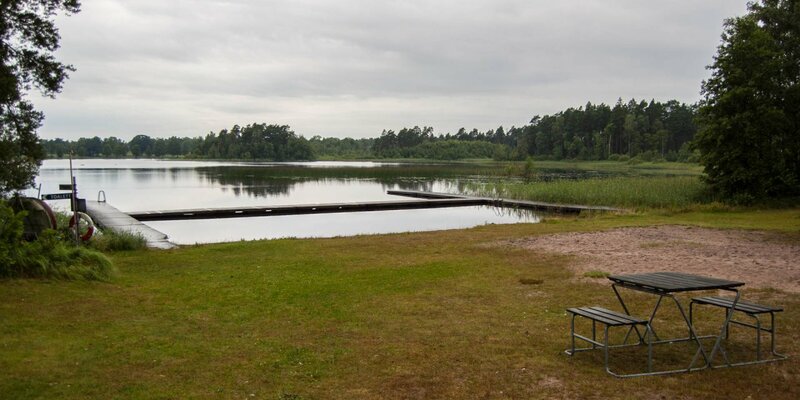 Additionally, there is a small kiosk, a playground, a toilet and a barbecue area. 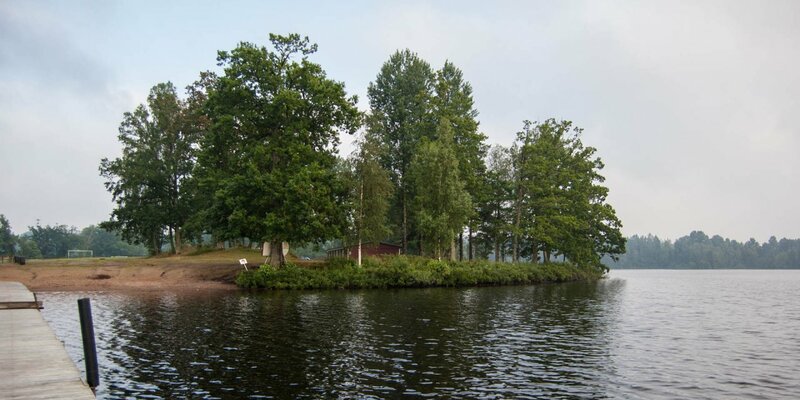 Just next to the bathing place is a small campsite, which also includes some rentable cabins.